With governments facing challenges such as climate change adaptation, rapid urbanisation and congestion in cities, and increasing levels of obesity, it is unsurprising that the promotion of active travel is a growing preoccupation in transport policy in the UK and internationally. While there has been an emphasis in street design in planning on making cities and neighbourhoods walkable, there has been a particular focus on strategies to increase levels of cycling in cities. In August 2013, the government set out its ambitions for increased levels of cycling, particularly in helping cities outside London to achieve comparative growth in cycling. North of the border Transport Scotland’s Cycling action plan for Scotland is aiming for 10% of journeys in Scotland to be taken by bike by 2020. Encouraging everyone to get on their bikes is not without its challenges, however. Increasing levels of cycling necessitates appropriate infrastructure, with roads designed with cycling in mind, and networks of cycle paths to ‘sell’ cycling to those who are wary of riding on the roads. Cycling safety is also a growing issue. 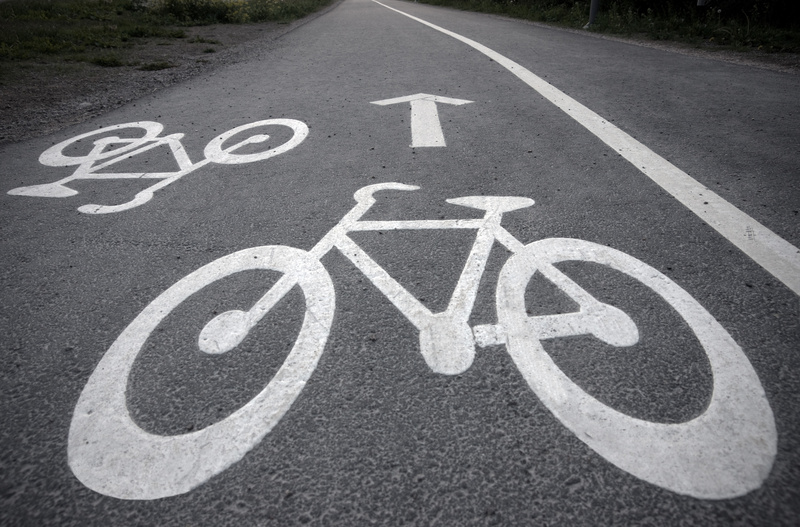 Cycling casualties have increased in recent years with the growth in the numbers of people cycling, and there has been considerable media coverage of cycling deaths, particularly in London. July 2013 saw the first death of a cyclist riding one of London’s cycle hire scheme bikes, and a spate of cycling accidents in London in November 2013 saw six cyclists lose their lives in 14 days. A London Assembly report, published on 27th February, has also revealed that over two-thirds of cyclists in London are more worried about safety than they were six months ago. the principles and dimensions of cycle tracks, junctions and roundabouts. It looks at different design options for segregating cycle tracks and highlights good practice in this area from Camden (soft segregation with road markings), Brighton and Hove (hard segregation with a separate track), Seville (cycle track network) and Copenhagen (design for cycling on complex urban streets). Seville presents a particularly pertinent model for cities looking to increase cycling, having increased cycling tenfold in the past six years. This can largely be attributed to its construction of an 80-mile Dutch-style cycle track network and the establishment of a 2500-bike hire scheme. The network has increased perceptions of safety, which are crucial in increasing cycling levels: cyclists now share road space with slow-moving traffic in the older parts of the city where streets are narrower, while there are segregated cycle lanes for the newer parts of the city with wider streets and faster-moving traffic. The Seville experience highlights the importance of establishing a network from the outset: Ricardo Marques Sillero, co-founder and former president of the city’s cycling group, A Contramano, argues that trialling a couple of unconnected paths before making a stronger commitment will fail to achieve a hoped-for increase in cycling, as isolated paths are of limited use. A range of measures could help to improve awareness of cyclists on roads and promote a change in attitudes towards cycling. British Cycling has set out its vision to increase cycling in Britain in its recent report, Time to choose cycling. It recommends incorporating cycling into the driving test, reinforcing cycling safety provisions in the Highway Code, design safety improvements to and restrictions on HGVs, improved justice and enforcement of road traffic laws, a nationwide ‘mutual respect’ campaign and making cycle training part of the national curriculum. Launched in summer 2013, Cycling Scotland’s Nice Way Code campaign sought to promote tolerance among road users and its See Cyclist, Think Horse advert aimed to encourage motorists to treat cyclists with the same care and give them the same amount of space on the road as they would to a horse. However, the campaign was criticised by some as patronising and misleading, while the advert has been the subject of safety concerns, and was banned by the Advertising Standards Authority for featuring a cyclist who was not wearing a helmet. (N.B. The ruling has been withdrawn pending the outcome of an independent review.) Although efforts to change road users’ attitudes could promote a safer environment on roads in the UK, the experience of the Nice Way Code highlights the challenges of designing effective and appropriate interventions to encourage a change in attitudes and behaviour. For more discussion on behaviour change, see our earlier post. While it is challenging to break habits of car dependence and change people’s attitudes towards cycling, infrastructure improvements, combined with efforts to improve safety and increase awareness and skills among cyclists and drivers alike, could promote a shift towards more pedal-powered journeys across the UK. This entry was posted in Health and social care, Planning, development and property, Transport, Infrastructure and communications and tagged a contramano, advertising standards authority, brighton, british cycling, camden, climate change adaptation, copenhagen, cycling, cycling action plan for scotland, cycling deaths, cycling safety, London, London assembly, Scotland, seville, Transport Scotland, UK. Bookmark the permalink.